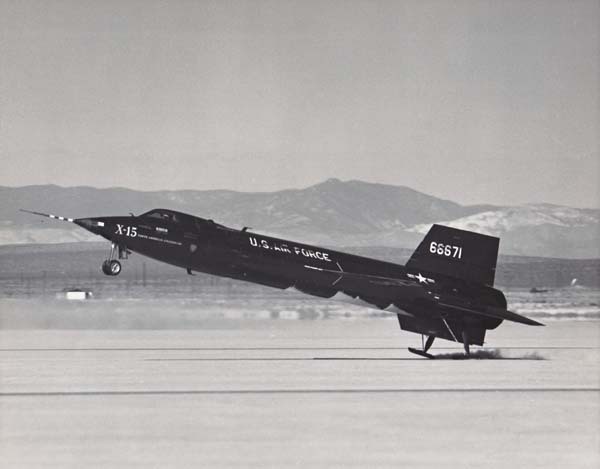 8 June 1959: At Edwards Air Force Base, California, North American Aviation’s Chief Engineering Test Pilot, A. Scott Crossfield, made the first flight of the X-15A hypersonic research rocketplane. 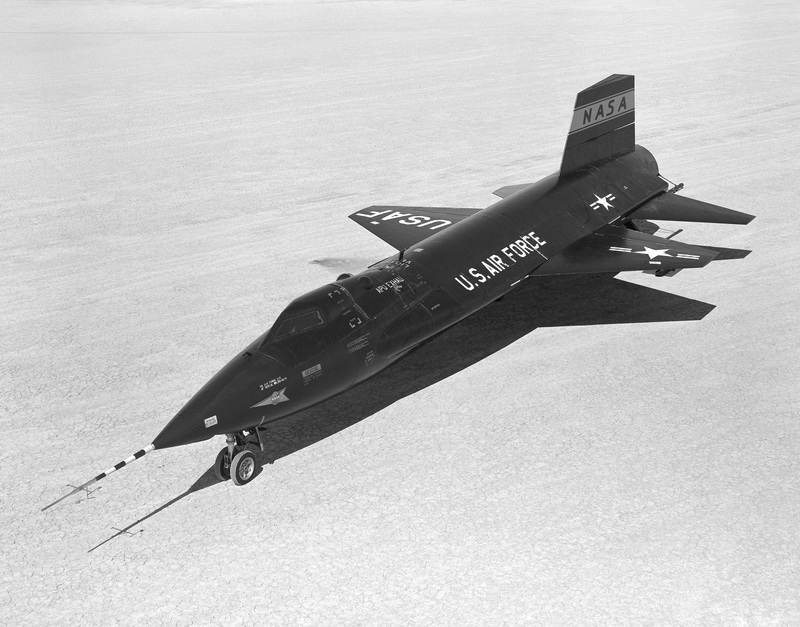 56-6670 was the first of three X-15s built for the U.S. Air Force and NASA. 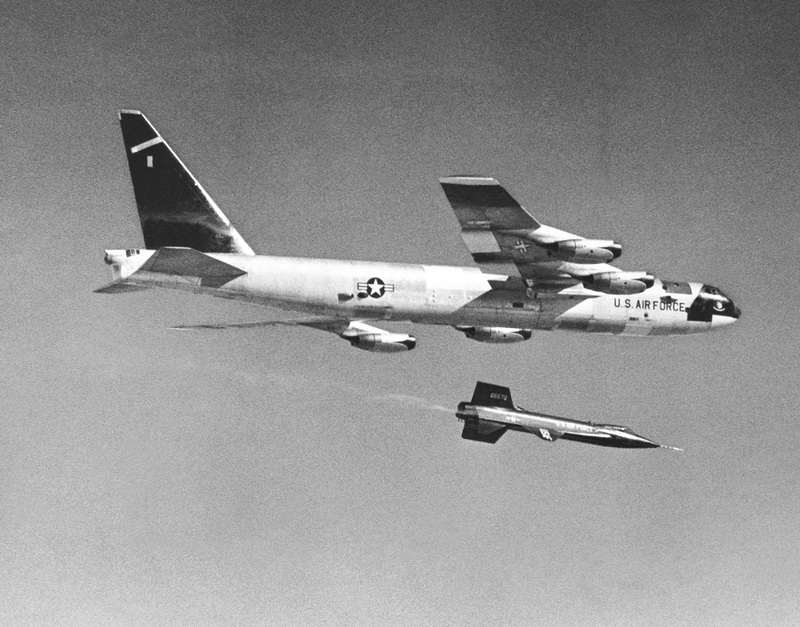 It was airdropped from a Boeing NB-52A Stratofortress, 52-003, at 37,550 feet (11,445 meters) over Rosamond Dry Lake at 08:38:40 a.m, Pacific Daylight Time. 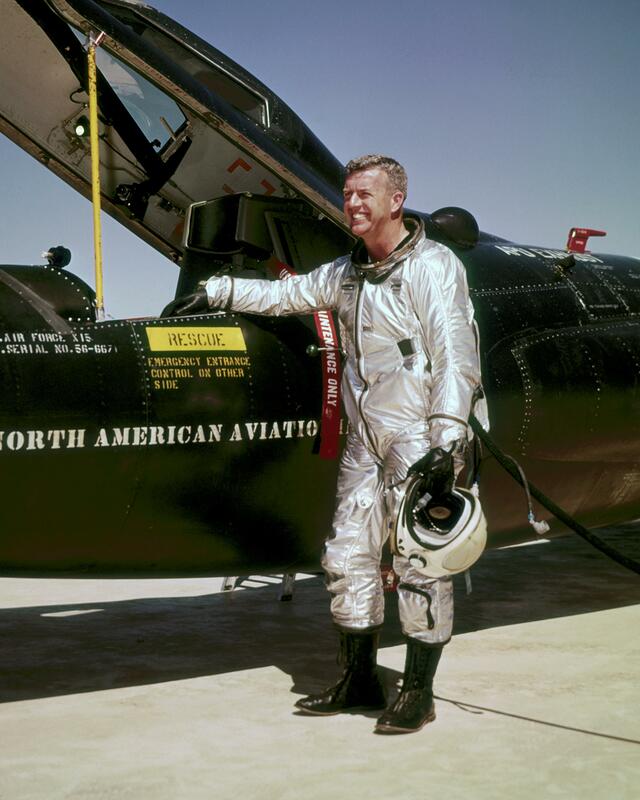 This was an unpowered glide flight to check the flying characteristics and aircraft systems, so there were no propellants or oxidizers aboard, other than hydrogen peroxide which powered the pumps and generators. 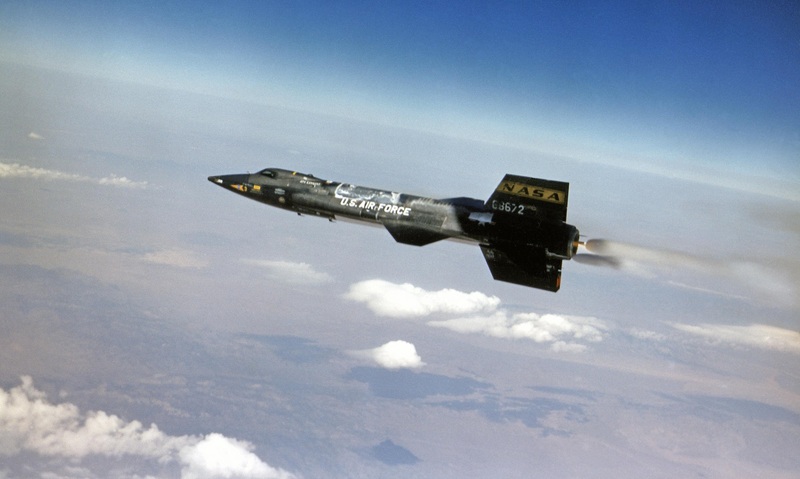 The aircraft reached 0.79 Mach (522 miles per hour, 840 kilometers per hour) during the 4 minute, 56.6 second flight. “Three” . . . “Two” . . . “One” . . . 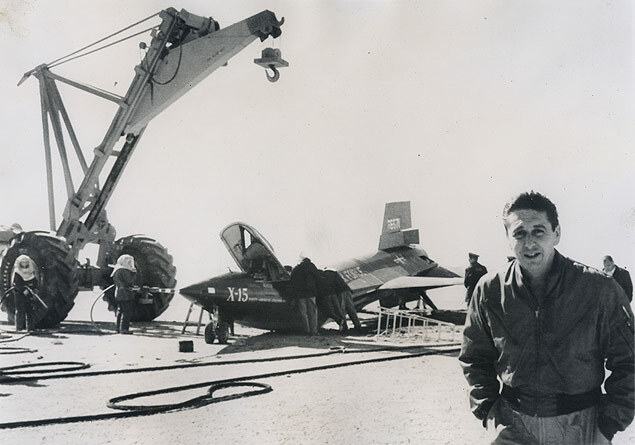 The X-15 hung in its familiar place beneath the pylon for a split second. Then the nose dipped sharply down and to the right more rapidly than I had anticipated. 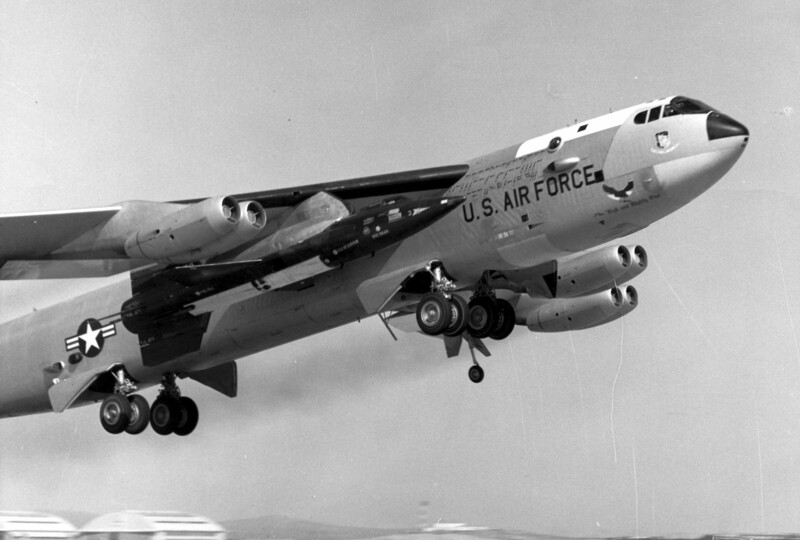 The B-52, so long my constant companion, was gone. 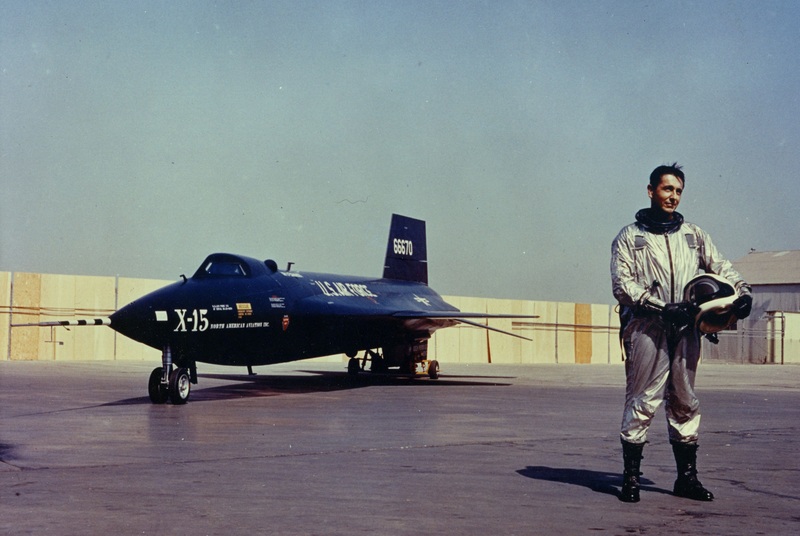 The X-15 and I were alone in the air and flying 500 miles an hour. In less than five minutes I would be on the ground. . . . There was much to do in the first hundred seconds of flight. First I had to get the “feel” of the airplane, to make certain it was trimmed out for landing just as any pilot trims an airplane after take-off or . . . when dwindling fuel shifts the center of gravity. 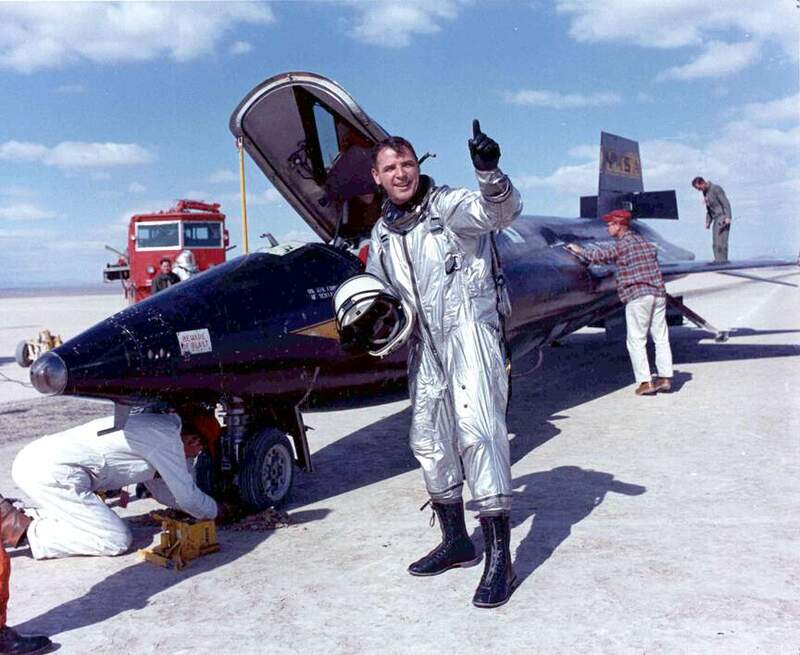 Then I had to pull the nose up, with and without flaps, to feel out the stall characteristics, so that I would know how she might behave at touchdown speeds . 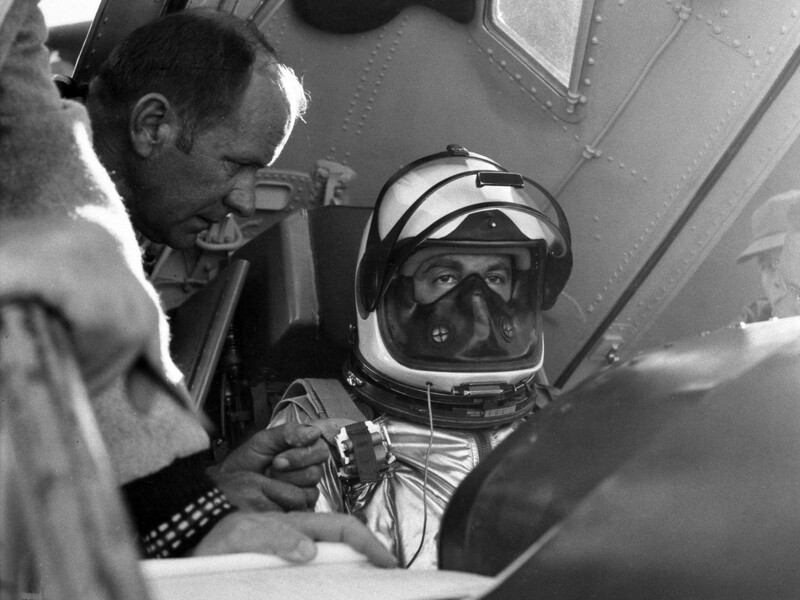 . . My altimeter unwound dizzily: from 24,000 to 13,000 feet in less than forty seconds. . . . The desert was coming up fast. At 600 feet altitude I flared out. . . . 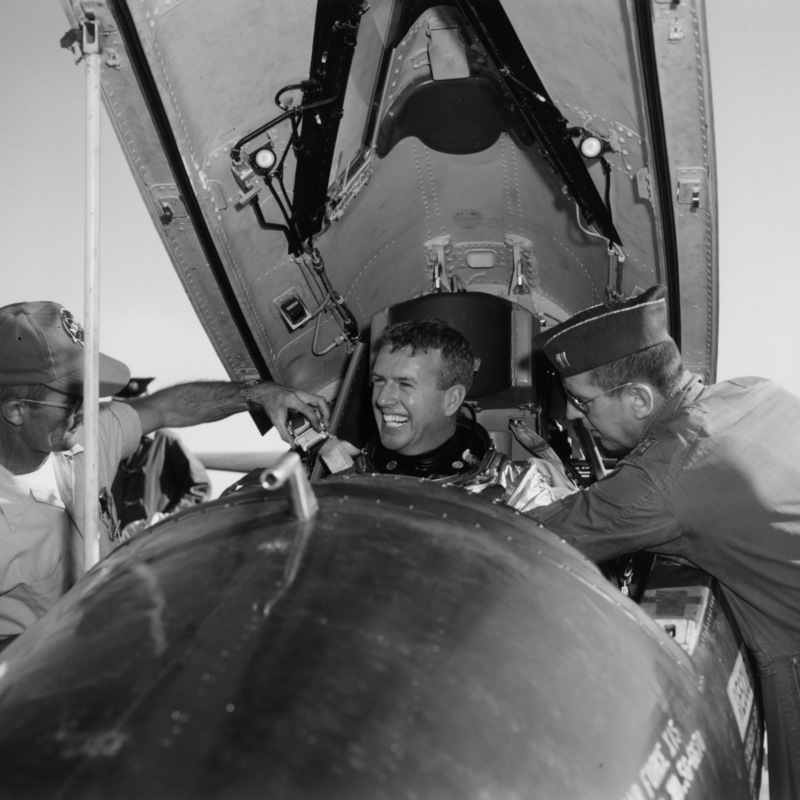 In the next second without warning the nose of the X-15 pitched up sharply. 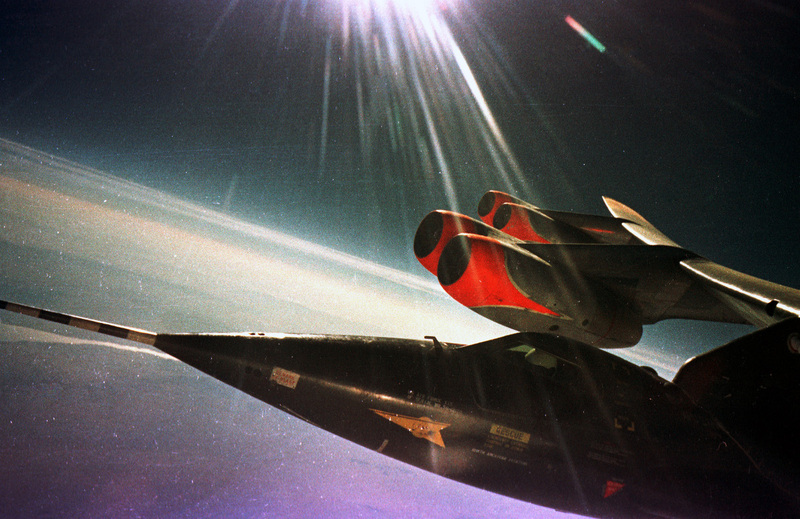 It was a maneuver that had not been predicted by the computers, an uncharted area which the X-15 was designed to explore. I was frankly caught off guard. Quickly I applied corrective elevator control. The nose went down sharply. But instead of leveling out, it tucked down. I applied reverse control. The nose came up but much too far. Now the nose was rising and falling like a skiff in a heavy sea. Although I was putting in maximum control I could not subdue the motions. 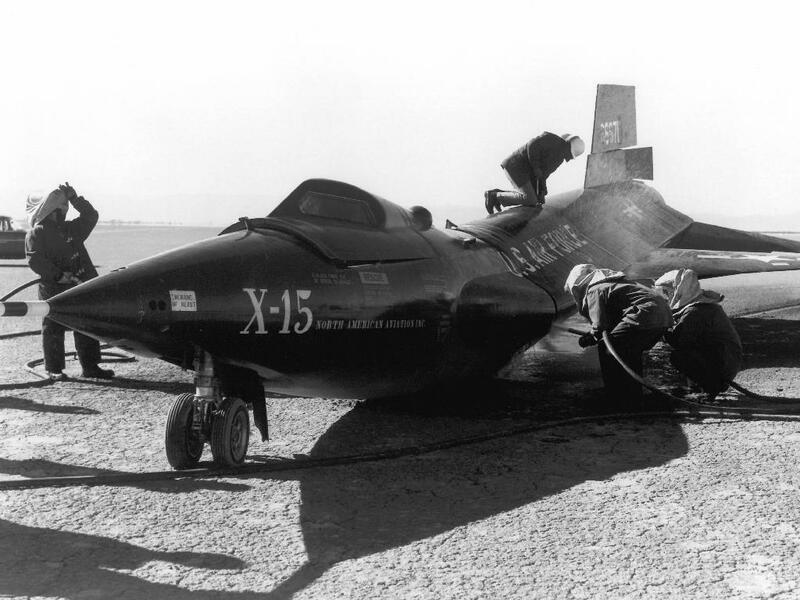 The X-15 was porpoising wildly, sinking toward the desert at 200 miles an hour. I would have to land at the bottom of an oscillation, timed perfectly; otherwise, I knew, I would break the bird. I lowered the flaps and the gear. . . .
. . . With the next dip I had one last chance and flared again to ease the descent. 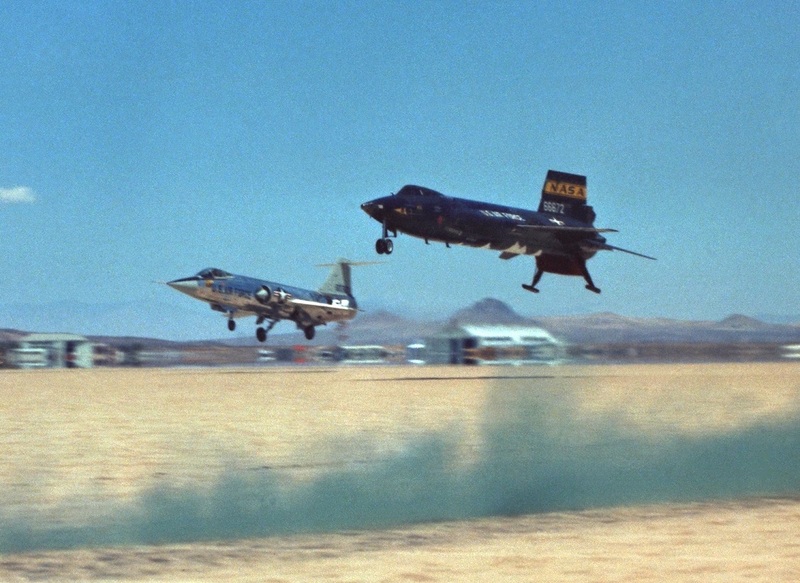 At that moment the rear skids caught on the desert floor and the nose slammed over, cushioned by the nose wheel. 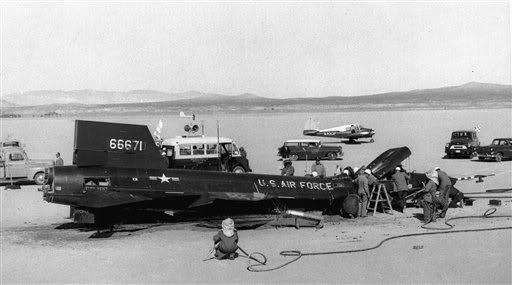 The X-15 skidded 5,000 feet across the lake, throwing up an enormous rooster tail of dust. . . .
—Always Another Dawn: The Story of a Rocket Test Pilot, by A. Scott Crossfield and Clay Blair, Jr., The World Publishing Company, Cleveland and New York, 1960, Chapter 37 at Pages 338–342. 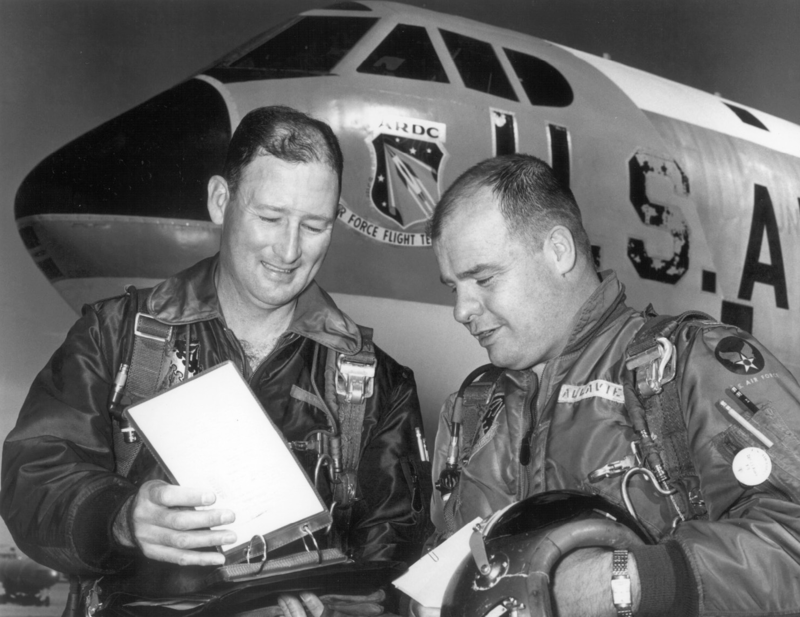 Before the drop, it was discovered that the aircraft’s Stability Augmentation System was inoperative in pitch mode. During the flight it was found that the hydraulic-assisted flight control system was responding too slowly to Crossfield’s inputs. Engineers analyzed the problem and increased the hydraulic system pressure. The problem never recurred. —At The Edge Of Space, by Milton O. Thompson, Smithsonian Institution Press, 1992, Introduction, at Page 3. 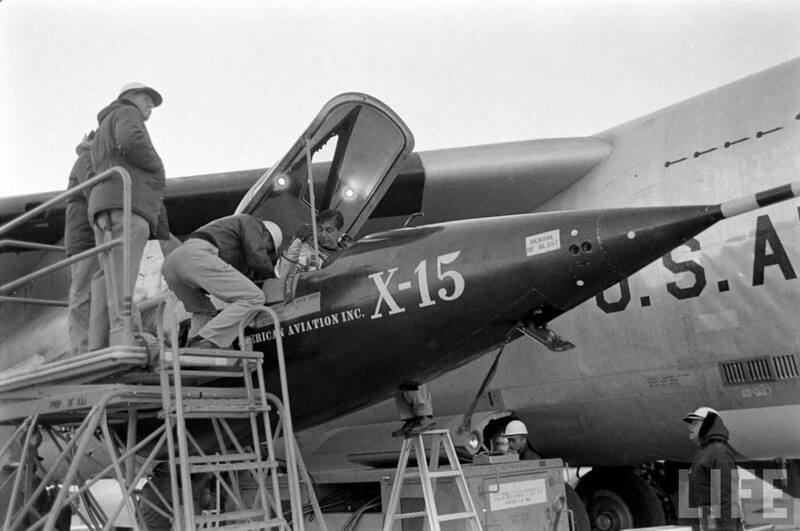 North American Aviation X-15A 56-6670 made the first glide flight and the first and last powered flights of the X-15 Program. It made a total of 82 of the 199 X-15 flights. 56-6670 is in the collection of National Air and Space Museum at Washington, D.C.